Fire is an awesome, destructive force. In nature, however, fire plays a constructive, creative role as well. 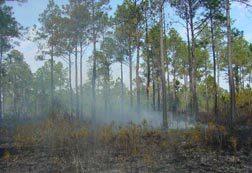 In the Pine Savannas of South Mississippi, long before the arrival of humans, storms ignited wildfires which swept unobstructed through the undergrowth. The resulting beds of nutrient rich ash nurtured a spectacular floral display under the towering Longleaf Pine canopy. Today, through the controlled use of fire and other carefully planned management techniques, examples of the magnificent primeval Southwestern Mississippi and adjacent Southeastern Louisiana landscapes are displayed as it might have appeared to its original Native American inhabitants are being returned and preserved at The Crosby Arboretum. There is a consensus today that Southern habitats need more fire, not less. Urban dwellers moving into rural parts are fearful of the traditions of controlled fire, which are spurred by recent media reports of catastrophic fires of western states. Less prescribed burning by landowners does not translate into less fire. 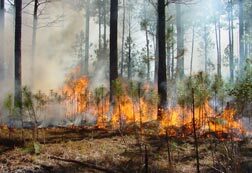 In the Pine Savanna ecosystem, less prescribed fire means less frequent but more intense wildfires which can result in property loss. As we rapidly change from open savanna habitat to woodland, we are increasingly losing many rare and threatened plant and animal communities that require these vanishing habitats. Next to the tropical rain forests, the Gulf Coast wet Pine Savannas (bogs) are the richest biological systems found in the world. Over 60 species of plants have been recorded in a square meter area. This incredibly diverse plant community is home to a variety of carnivorous plants, orchids, sedges, sunflowers and grasses. Many federally endangered and state-listed rare plants, such as bog flax and bog spicebush, are found only in these habitats. Unfortunately, less than 3% of the Gulf Coast’s original pitcher plant bogs remain today. In addition to years of draining or filling these sensitive wetlands, the discontinued use of fire has reduced their presence. The Crosby Arboretum performs prescribed burns both on site and in its natural areas three out of every five years. 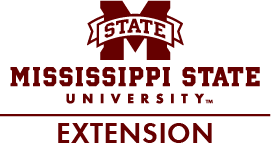 For more information about our burn programs, contact Burn Manager, Terry Johnson at 601-799-2311 ext. 105. Join Mr. Johnson's Burn Crew Team! Terry Johnson is always looking for new volunteers to help with burn days. “You ever seen a fire in a vortex?”, says Mr. Johnson, “well, come burn with me!” For more information on burn days and volunteering, contact Mr. Johnson at the Crosby Arboretum at 601-799-2311. To be considered for the Burn Crew Team, be sure to let Mr. Johnson know when you inquire and give him your telephone number. Burn Crew Team members are volunteers that are called ahead of time for scheduled burns. Those interested in volunteering can learn fire management techniques. Wear old clothes and boots, dress for the weather, and bring a lunch. Desired skills: ability to work in groups, follow instructions, safety and attention to detail. Burning will be done on Thursdays and Fridays if environmental conditions are favorable (please call the arboretum office one hour prior to confirm that it will be proceeding as planned). Those volunteering are admitted free. Those wishing to observe only: admission is free for arboretum members and $5 for non-members. Persons under the age of 18 must be accompanied by an adult.